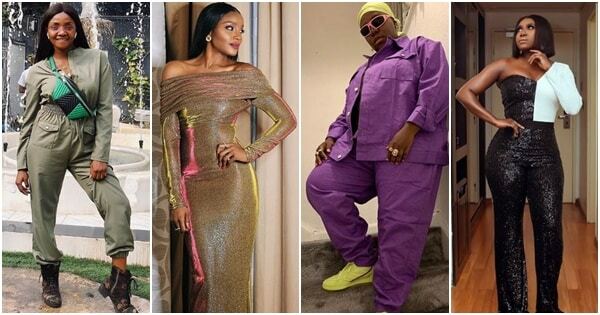 Nigerian female celebrities are one of a kind and are no doubt one of the most fashionable in the world. They have been able to represent their brand well when it comes to fashion and it is no wonder that fans draw inspiration from their style. The female musicians have also been able to adequately blend their music with their style. Often times their style is inspired by the mood of their music. From playful to girly to alternative outfits, they always bring their a-game. We gathered six female musicians whose fashion sense is worthy of mention. The self-acclaimed Mama Africa is not one to take the backseat when it comes to fashion. Her style is daring and she is obviously not scared to try new things. Many are of the opinion that if she didn’t choose music as a career she might also make it as a fashion stylist. The petite singer is also another daring dresser but her outfits often border on being a bit tom-boyish. Berets are also another notable fashion staple the singer likes to rock. Despite that, she still looks gorgeous in dresses. Chidinma is one celeb who loves to explore her girly as well as African side. She often stuns in lovely dresses and she is not afraid to try on unconventional styles. Just like her music, her taste in fashion is also unique. Nini knows she has a beautiful body and she loves to flaunt it. The singer looks gorgeous in this sequin monochrome jumpsuit. Seyi is one singer who is very aware of her sensuality and it is also apparent in her choice of outfits. Her sultry look complements nicely with any thing she decides to wear. This is perhaps the most outstanding fashionista on this list. She has been able to create her own unique style despite it being alien to Nigerian ladies. Teni loves to wear baggy clothes with her signature headtie called a durag. These ladies have made great strides in the fashion industry as well as with their music.